All models in the 7280E Series deliver rich layer 2 and layer 3 features with wire speed performance up to 1.44 Terabits per second. 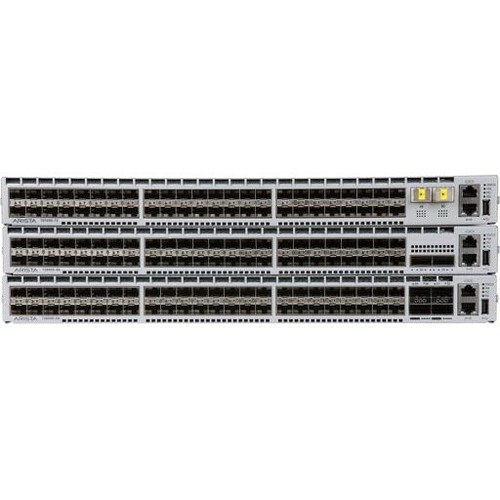 The Arista 7280E Series offer a virtual output queue architecture combined with an ultra-deep 9GB of packet buffers that eliminates head of line blocking and allows for lossless forwarding under sustained congestion and the most demanding application loads. Combined with Arista EOS the 7280E Series delivers advanced features for HPC, big data, content delivery, cloud and virtualized environments. The Arista 7280E runs the same Arista EOS software as all Arista products, simplifying network administration. Arista EOS is a modular switch operating system with a unique state sharing architecture that cleanly separates switch state from protocol processing and application logic. Built on top of a standard Linux kernel, all EOS processes run in their own protected memory space and exchange state through an in-memory database. This multi-process state sharing architecture provides the foundation for in-service-software updates and self-healing resiliency. With Arista EOS, advanced monitoring and automation capabilities such as Zero Touch Provisioning, VMTracer and Linux based tools can be run natively on the switch with the powerful quad-core x86 CPU subsystem.